Invited speakers will include approximately 45 paper presenters (identified through the Call for Papers that generated proposals from more than 320 researchers from 60 countries); personnel from UN agencies, particularly the members of the UNTFSSE; and representatives of civil society organizations, particularly the members of the UNTFSSE and those SSE organizations and enterprises based in Geneva. The Conference is carried out with the support of seed funding from the Ministry of Labour, Employment, Social Economy and Economic Solidarity of Luxembourg and the Republic of Korea in addition to ILO and UNRISD institutional funds. This event is part of a series of conferences resulting from the Call for Papers “Implementing the Sustainable Development Goals: What Role for Social and Solidarity Economy?” which was launched by the United Nations Inter-Agency Task Force on Social and Solidarity Economy (UNTFSSE) in 2018 and organized by UNRISD. With the Call for Papers, the UNTFSSE aims to identify and mobilize research from different regions and territories which, by critically examining the role of SSE, can contribute to the Task Force’s efforts to scale up and promote SSE as means of implementation of the SDGs. Special Session at the International Conference on the Localization of the SDGs and the Co-Construction of the Means of Implementation. This session, co-hosted by the Global Social Economy Forum (GSEF), will discuss ways in which SSE, broadly conceptualized, impacts our ability to implement and localize the crosscutting nature of the SDGs in the Asian context. The papers will be made available to policy makers, SSE and development practitioners, researchers and UN entities on the UNTFSSE’s Knowledge Hub for the SGDs (hosted by UNRISD). SSE as a driving force in localizing the SDGs and scaling up impact: The case of women’s SHG in India. Digital Fabrication Labs for implementing SDGs in SSE in Sri Lanka. Cooperatives as a means of fostering integrated and sustainable development – a case study of Nepal. Health maintenance cooperative: an alternative model to universal health coverage in the Philippines. Can the platform economy scale the social and solidarity economy? The role of digital platforms in Indonesia’s tourism sector. Rise of Social and Solidarity Economy in South Korea and its role for social inclusion and social empowerment. Micro-finance interventions in renewable energy: promoting sustainable rural development through solar electrification. Enhancing food security, nutrition and poverty reduction through SHGs. An experience from Pakistan. Social and Solidarity economy as a tool for sustainable marine fishery: An illustration based on fishermen’s cooperatives in Kerala, India. The Call for Papers was carried out with the support of seed funding from the Ministry of Labour, Employment, Social Economy and Economic Solidarity of Luxembourg, in addition to UNRISD institutional funds. The present event has received additional support for participant travel from Yonsei University. The International Labour Organization and the Economic Development Department of the Republic of South Africa are looking for a consultant to prepare a Green Paper on the social economy in South Africa. For details please access the full call for proposals here. The deadline for submission is 4 January 2019. The UN Research Institute for Social Development (UNRISD), member of the UNTFSSE is organizing this side event to the 2018 High Level Political Forum (HLPF) in New York. As an integrated and balanced approach to development, social and solidarity economy (SSE) has the potential to function as an intelligent means of localizing the 2030 Agenda. At this side event, speakers will discuss new research evidence and local government experience of SSE, and the enabling conditions—such as institutional arrangements, political forces and economic possibilities—which are needed for it to succeed in diverse contexts.In keeping with the mandate of the HPLF to provide guidance and recommendations on implementing the 2030 Agenda for Sustainable Development, the panellists at this event will share knowledge and experience on how SE is contributing to realizing the 2030 Agenda’s vision of transformation, and achieving the goals and targets at the local level, in particular in cities. For the programme and more details, click here. Call for Proposals – Implementing the Sustainable Development Goals: What Role for Social and Solidarity Economy? The United Nations Inter-Agency Task Force on Social and Solidarity Ec onomy (UNTFSSE) is launching a Call for Papers to assess the contribution of SSE to inclusive and sustainable development, with a particular emphasis on local contexts. Organized by UNRISD, in its role as coordinator of the Task Force’s recently established Knowledge Hub, the Call for Papers aims to identify and mobilize research from different regions and territories that critically examines the role of SSE as a means of implementation for the SDGs. Authors of the selected papers will be invited to present their work at a conference at the United Nations in Geneva, planned for April 2019. Selected submissions will also gain visibility through publication as working papers and think pieces. As publications under the banner of the Task Force’s Knowledge Hub, the pieces selected will have international impact and will contribute to UN efforts to scale up and promote SSE as means of implementation of the SDGs. i. SSE as a means of implementation for the SDGs. Of interest are the ways in which SSE actors and institutions can facilitate the implementation of goals and targets associated with the SDGs, particularly in local settings. What works and why? What is the comparative advantage of SSE in relation to other forms of economy, in terms of minimizing trade-offs between different dimensions of development and promoting a more integrated approach? What actors and institutions are key for creating an enabling environment for SDG implementation through SSE? What is the scope for replicating positive initiatives in other local settings? ii. Measuring SSE, its scale and impact. In a context where systematic data on SSE are still scarce, where definitions and indicators vary, and where statistics often fail to capture the diversity of SSE actors and impacts, the Call aims to identify robust methodologies and innovative solutions for measuring SSE and its impacts. The submission process for the Call for Papers is open from 1 June until midnight CEST on 2 August 2018. To participate, please read the full Call for Papers and then follow the instructions. The UNTFSSE wishes to honour the lives of two colleagues, Jens Nilsson and Paul Singer, who regrettably passed away in March and April, respectively. They both in their own way contributed to the Social and Solidarity Economy as we know it. They each leave behind a legacy for those presently working in the field and for future generation of SSE leaders. Our thoughts are with their loved ones and all those who knew them. It is with immense sadness that we learned of the early passing of Jens Nilsson, chair of the European Parliament’s Social Economy Intergroup, on 13th March at the age of 69. Jens has been a driving force in the promotion of Social Economy across Europe and will be greatly missed. A convinced social democrat, before becoming a politician, Jens worked as an ombudsman and communicator. 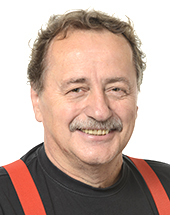 Prior to becoming a Member of the European Parliament in 2009, he was Mayor of the city of Östersund 1994-2010, from where he initiated the European Network of Cities and Regions for the Social Economy (REVES), of which he was its first President during 1997-2001. He was also a member of the EU’s Committee of the Regions (1999-2010) and the Congress of Local and Regional Authorities of the Council of Europe (2007-2010). In all these capacities Jens cooperated with different UN agencies and tirelessly worked to bring the local, national and international governance levels together. The UN family would like to honor Jens by recognizing and remembering his strong commitment to the promotion of the social and solidarity economy model as a driver for inclusive growth and social justice. His passing leaves a great emptiness for his family and for all who knew and appreciated working with him. Yet his ideas and vision will stay alive. By Peter Utting, International Coordinator at the Center for Social Economy (Centro para la Economía Social) based in Managua, Nicaragua, and Senior Research Associate with the United Nations Research Institute for Social Development (UNRISD). It is with great sadness that we note the passing of Paul Singer, former head of Brazil’s National Secretariat for Solidarity Economy (SENAES), on 16 April 2018. Paul both supported and inspired the work of UNRISD and the ILO in this field. In 2013 he opened the international conference we co-organized on the Potential and Limits of Social and Solidarity Economy (SSE), out of which emerged the UN Inter-Agency Task Force on SSE. His ideas and work were informed by his academic background as an economist, sociologist, university professor and researcher; his political activism as a founder and member the Workers’ Party; and his policy making experience as Municipal Secretary of Planning of São Paulo. “Social and solidarity economy refer to collective practices of sustainable development that contribute to building a more just and egalitarian world(…) by linking economy to society, local to global, labour to investment, and production, consumption and the environment.” (Paul Singer, Secretary for Solidarity Economy, Ministry of Labour and Employment, in PARDEV Newsletter No. 30, June 2012. This strategy recognized that an effective enabling environment for SSE must go beyond a narrow range of financial and fiscal incentives. He emphasized the importance of strengthening the capacities of SSE enterprises through technology and skills development. To this end he involved the universities in the programmes of SENAES, notably through the promotion of over 100 incubators. Under Paul’s tenure as National Secretary, solidarity economy became a key element in the poverty eradication programme, Brasil Sem Miséria. State institutions supported solidarity organizations and enterprises through their procurement policies and initiatives to create and strengthen cooperatives. And crucially, he knew that effective policy making required the active participation of SSE actors and social movements, as well as participatory governance structures that spanned national, regional and local levels. In later life, Paul increasingly engaged with intellectuals, activists and policy makers in other countries that were promoting SSE. He was convinced that the strengthening of SSE in his country was part and parcel of a global movement for change – a movement that today draws heavily on the concept of solidarity economy that he developed and the experience of Brazil where he played such a pivotal role. For more on Paul’s ideas and professional and political life we invite you to read an interview published in 2016 in Global Dialogue, the magazine of the International Sociological Association. On January 28 the UN Task Force on Social and Solidarity Economy (UNTFSSE) represented by Marie-Adélaïde Matheï participated in the first European Forum on Social and Solidarity Economy to present United Nations’ work on SSE. Hosted by the European Parliament the conference was the fruit of an initiative led and organized by the European United Left/ Nordic Green Left (GUE/NGL) to turn their long time support for the SSE into one of its main strategic focuses for the current legislature of the European Parliament (2014-2019). Titled “Transforming the Economic and Cultural Paradigms” the conference brought together more than 250 participants from 14 countries in Europe, Latin America and North America in an attempt to promote an exchange of experiences among the different actors highlighting the problems faced by the sector, as well as its potential in tackling the effects of the economic crisis. The Luxembourg Ministry of Labour, Employment and the Social and Solidarity Economy held on 3-4 December a conference on “Boosting Social Enterprises in Europe“. During its presidency of the Council of the European Union, Luxembourg has promoted social economy at the European level in the context of inclusive growth, quality job creation and social cohesion. The conference lead to the adoption of a declaration by the Governments of France, Italy, Luxembourg, Slovak Republic, Slovenia and Spain towards a comprehensive ecosystem for social economy enterprises. Th is last 26 September, Madani Koumare from RENAPESS Mali made the case for a paradigm shift and social solidarity economy during the United Nations Sustainable Development Goals Summit 2015 in NY.